New Release in honor of Chanukah! 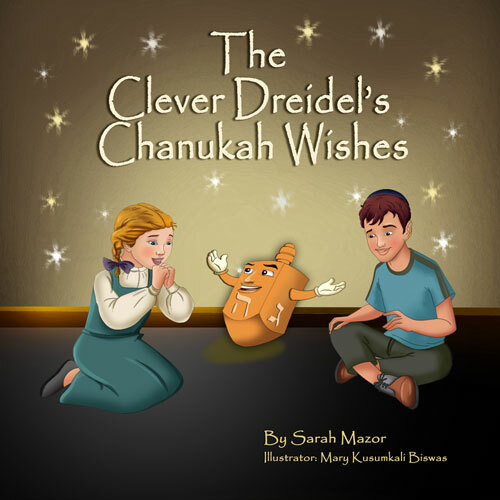 MazorBooks is proud to announce it’s newest in the Jewish Holiday Books series for Children, The Clever Dreidel’s Chanukah Wishes written by Sarah Mazor and beautifully illustrated by Mary Kusumkali Biswas. A wonderful tale about a clever dreidel that teaches children to think of others that are less fortunate and to pray for new Chanukah miracles. As the children light the candles each day, they heed the dreidel’s request and wish for a world where all of the children around the globe are happy and healthy and full of hope.